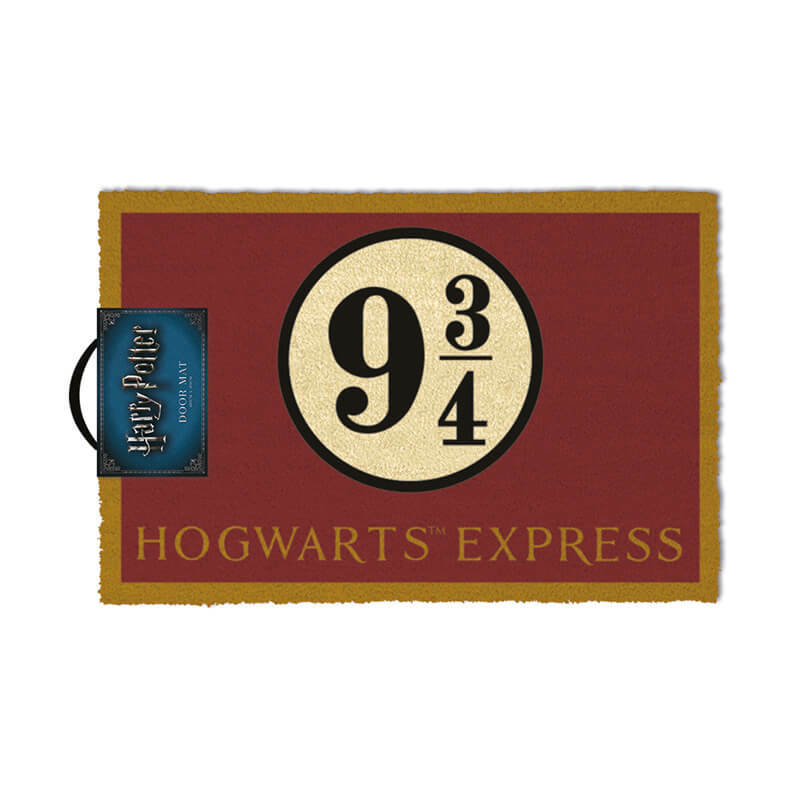 With this Harry Potter Platform 9 and 3/4 Door Mat you can have the secret entrance to the Hogwarts Express at your house. Pop this 40cm x 60xm Doormat at your front door and invite people to enter. They'll have to believe with whole hearts that the way is clear though. A great homewares gift for Harry Potter fans. Standard Shipping: "Harry Potter Platform 9 and 3/4 Door Mat" is unable to be delivered at our normal fixed price of $9.95 because of it's size and/or weight. There will be a small surcharge for freight on the checkout and free shipping will not be applied. Express Shipping: "Harry Potter Platform 9 and 3/4 Door Mat" is unable to be express delivered at our normal fixed price of $14.95 because of it's size and/or weight.. If you need this item delivered fast the shipping cost will be calculated at actual cost at checkout.